In this time of uncertainty, art projects that focus on building and engaging communities are more important than ever. Art can be a catalyst for conversation that brings people together, closes the gaps between us. SEE/CHANGE, a public art video installation that is part of this week’s programming is one of those catalysts, engaging the community along the lower Georgia Ave. corridor. We caught up with Philippa Hughes of Pinkline Project, the driving force behind SEE/CHANGE, which runs through November 20. 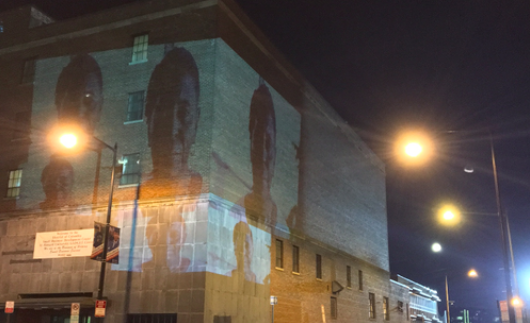 If you braved the wind this weekend and happened to stroll through Park View, you might have seen the faces of your neighbors projected onto Georgia Avenue walls and storefronts.